Since 2006, Eni has been engaged, through its subsidiaries Eni Australia Ltd. and Eni Timor Leste SpA, in oil exploration and oil production in East Timor. Eni is Italian oil company that currently operating in Timor Sea. 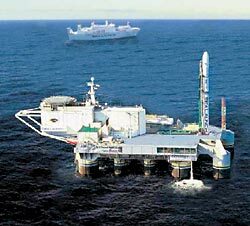 Thus oilfield jobs became available on Kitan Oilfield. In November 2006, Eni has signed five Production Sharing Contracts (PSC) offshore, on an area of over 12,000 km2 in the Timor Sea in East Timor. As part of the work program of exploration Eni we are committed to invest in the sustainable development of East Timor. The commitment has planned an investment of US $ 9.5M in labor, services and local goods, social development initiatives and infrastructure projects for the extraction of oil. The development of the Kitan oilfield has further strengthened the presence of Eni and its growth opportunities in the Timor Sea. In Kitan project, Eni is operator (with 40% of equity), on behalf of INPEX Timor Sea Limited (35%) and Talisman Resources Pty Ltd (25%), the JV partners in place. After the discovery of the Kitan oil field, the formal approval of the Kitan Field Development Plan (FDP) was welcomed by the PA (Autoridade National do Petroleo) on 22 April 2010. The development of the oil project, from discovery to oil production, has followed a program accelerated, and the Kitan field started oil production in the 4th quarter of 2011. Commitments Eni within the Field Development Plan (worth US $ 15M for the duration of the camp, at least 5 years) involving the construction of a National Library and a number of activities related to training and employment. A first "Training and Employment Plan" was presented ANP (Autoridade National do Petroleo), and is currently under execution. Oil company structure PTTEP in the Timor Sea continues to burn for a second day at the mercy of fire occurred when trying to stop the oil spill, which threatens to cause an ecological disaster. The fire is out of control. Two miles from the oil rig and platform, located at the site of West Triton, are located several ships to which the smoke and intense heat denied access to the facility. Australian Resources and Energy Minister Martin Ferguson, said the chain ABC radio that the main objective of the teams is now to try to extinguish the fire after contain the oil spill that began over two months ago. Ferguson has also indicated that the Australian government will conduct a full investigation to clarify the causes of the incident and the reasons why the leak of crude continued for ten weeks. For his part, the representative of the Australian section of the environmental group World Wide Fund for Nature, Gilly Llewell, Canberra urges the government to declare a state of emergency "not only the fire, also for the great ecological impact." PTTEP Australasia, the Thai state-owned PTT Exploration & Production Plc, Sunday evacuated nonessential staff from both platforms, the extraction and West Atlas Montara main. Since last August 21 began the spill at the well at a depth of 2600 meters under the sea, the company PTTEP Australasia has spent about $ 162 million in fruitless operations carried out by some 300 workers to get close the gap by escaping oil. The well has already shed the equivalent of 28,000 barrels of oil, which has formed an extensive oil spill that threatens the survival of the largest marine park in the region, habitat and migratory route for whales, turtles and dolphins. According to the World Wide Fund for Nature, the spill volume has exceeded four million liters of oil and covers an area of 6,000 square kilometers, so that the oil slick is approaching the Savu Sea Marine Park in Indonesia. The Savu Sea Marine Protected, Area officially declared five months ago, is one of the jewels of the Indonesian strategy to protect the Coral Triangle, an area of six million square kilometers between Asia and Oceania experts call "the Amazon sub."